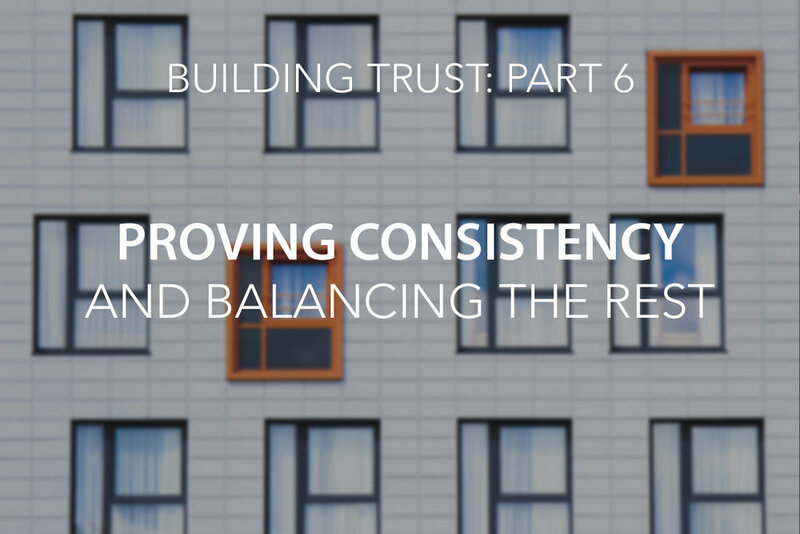 This is the final post in our series on building trust. If you missed our previous posts, you can start with Building Trust Part 1: Communication.We all have expectations of ourselves and others and they fall into one or more of the following categories: communication, character, concern, competence, connectedness, and consistency. Trust is built when we prove reliable by meeting others’ expectations in these areas. Consistency is also important in performance. How would you feel if, over the past year, the person responsible for producing financial reports for an organization provided some that were accurate and others that had errors? Such inconsistency would result in you second guessing his or her work, ultimately eroding the trust you have in him. While none of us are 100% consistent, we must regularly assess if we are consistent enough in our words, actions, and performance to ensure a reasonable level of trust. Do you personally demonstrate consistency in your words, demeanor, and deeds? How do you know? Does your organization demonstrate consistency with your customers? How do you know? We manage trust when we continually monitor Communication, Character, Concern, Competency, Connectedness, and Consistency. If distrust is detected between people or within the overall organization, it can most often be traced to the perceptions and expectations related to one or more of these six elements. Leaders face the daunting challenge of constantly balancing all six of the elements, even though attending to one may result in the perception that the others are being neglected. Small wonder that cultivating and maintaining trust is such a challenge! The following lists will help you to assess the level of trust found in your organization. Rate yourself from 1 (poor) to 5 (excellent) in the following areas. Why did you give yourself each rating? Reflect upon what, if any, discrepancies exist between your assessment of yourself and how others see you? Why may these exist? What signs of trust and distrust do you believe are present in the relationship or organization at this time? What could be done to cultivate a culture of trust in your organization?